VI Toolkit One Liner: Correct HAL ? Could u pls explain, what is the purpose of having this script in xml form? Hi Alan – quick question: I just ran this script for the first time and it is not pulling the HAL info for each guest VM. It pulls the # of vCPUs and the host name, but that is it. I run it with a domain admin acct, so it has local admin rights to every VM so I am not sure what I am missing. Any ideas? 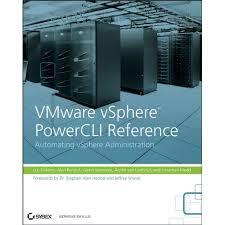 BTW – I have just started using PowerCLI and I really enjoy your site/scripts (and others you reference). Thank you so much – many of them have come in very handy. Very nice work. You will obviously need permission to read the information from each guest system. How can we check the service pack level of the VM’s running , we need to check it with the HAL list. Can you post how to output this to a csv?